Your online business depends on your expert sales and closure technique. Simply put, the better you are at selling your product, the more money you will make! In fact, a good salesman is almost impervious to failure in the world of business. So, your sales pitch above all else must involve reassuring your prospective customer that it is not a mistake to buy your product or avail of your service. Get this simple fact, turn it to your advantage and get on the high road to increase online sales exponentially. 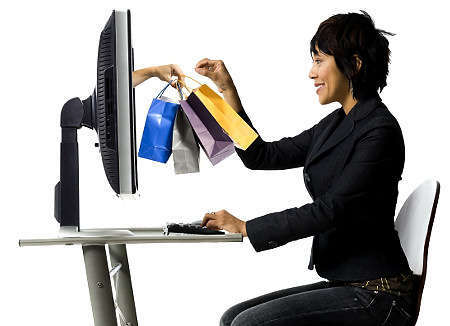 This nicely brings us to the First simple secret to increase online sales. Familiar with that one? It works! Think about how reassuring that sounds to someone who’s thinking about parting with their hard earned cash. Testimonials are very powerful in and of themselves. People rarely like being sold to but they’ll readily listen to someone else who’s gone on record to tell of their great experience of your product etc. this is a powerful motivator to buy. Many times they’ll go ahead and buy simply because others have bought it and liked it enough to talk about it. Be sure to take advantage of the herd mentality. A video presentation of your business on your website has a really attractive effect on anyone fortunate enough to be visiting it. If they’re considering to buy then it makes them feel doubly reassured that you are a flesh and blood person like them and not some faceless bunch of HTML coding on the internet. Keep the video brief and to the point; no more than say 4-5 minutes. 3 minutes is ideal. Be one! Hunt them down on your website and kill them! In other words, please proofread everything on your site so it reads without any spelling mistakes or grammatical errors unless you’re intentionally going for a very conversational style and even then check your spelling. The ideal feel to go for in one’s copywriting is semi formal or casual professional. This will increase online sales guaranteed. You’d be surprised how hesitant and unsafe typos can make your prospective buyer feel. More often than not, it turns many people off outright and they’ll go and buy from your competitor who may have a more professional looking site. Linking your website to a good social networking site like Facebook, LinkedIn, Twitter, and others is also a very good idea. Why? It will help your buyers to feel like they know you and that is by far the best relationship to strive for because it has a domino effect. They will come again and again to do business with you. These 5 simple secrets to increase online sales should stand you in good stead especially if you’re a newbie to marketing and sales. Being in business for yourself can be a really rewarding experience and the secret is in the simple, nitty gritty stuff.